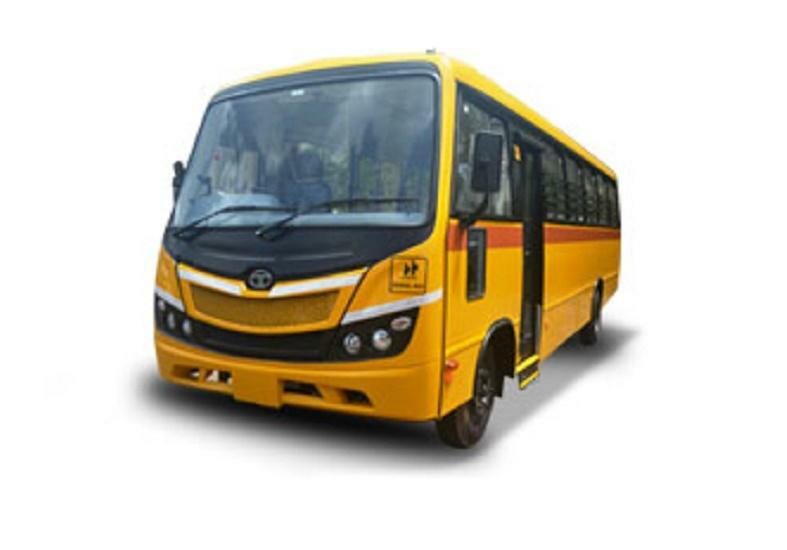 Tata buses have been known for their superior build quality, long life, reliability and comfort. The company operates in the ILCV (Intermediate & Light Commercial Vehicles) bus market in India under 3 popular brand names to cater to different segments. Welcome to the world of new Commercial Vehicles in India. If you are planning to buy new trucks, buses or small commercial vehicles in India, then you have landed at the right place. We bring to you the latest & best commercial vehicles to choose from across the LCV, ICV and MHCV trucks and buses category. With the wide range of vehicles available from all Commercial Vehicle Manufacturers in India today, we also let you compare trucks and buses, for you to take a judicious purchase decision. For those of you looking for ready-made comparisons of popular vehicles, we have curated a list of popular truck and bus comparisons. Along with showcasing the best trucks, buses, mini trucks & pickups in India, we also get you the new commercial vehicle price list, be it new trucks price list, bus price list, mini trucks price list, including the best offers. Categorized as commercial vehicles with 16.2 Ton GVW and above, MHCV trucks and buses are majorly used for long distance intercity movement of goods and passengers. MHCV trucks are used for long haul applications. Tippers, also referred to as dumpers or dump trucks are used at construction and mining sites whereas tractor trailers are used for heavy loads over long distances. Dominating the MHCV trucks segment are Tata trucks, Ashok Leyland trucks followed by little presence of BharatBenz trucks (Daimler India Commercial Vehicles), Eicher trucks (Volvo Eicher Commercial Vehicles), Mahindra trucks and others. Awe inspiring multi axle trucks belong to this segment. 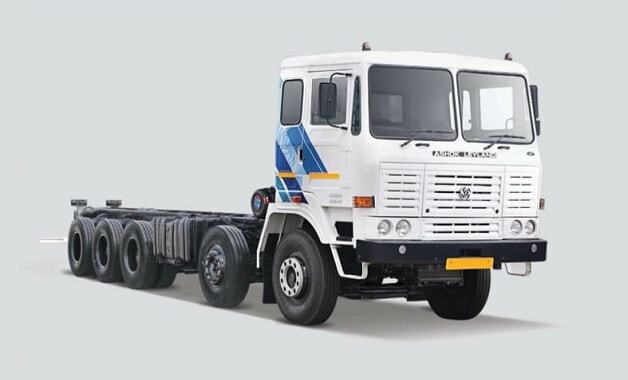 Tata and Ashok Leyland 10 wheeler trucks (2518), 12 wheeler trucks (3118, 14 wheeler trucks (3718) and the recent introduction of 16 wheeler trucks are the predominant MHCV trucks. 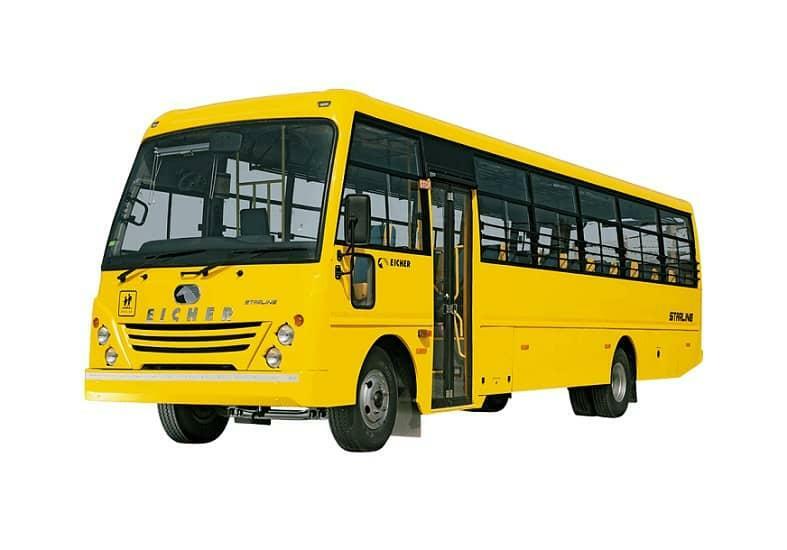 MCV passenger buses, usually bought as bus chassis from bus manufacturers and body fabricated from outside body makers, are generally used for intercity, route permit and tourist bus applications. Dominating this segment are Tata buses, Ashok Leyland buses followed by little presence of Eicher buses. 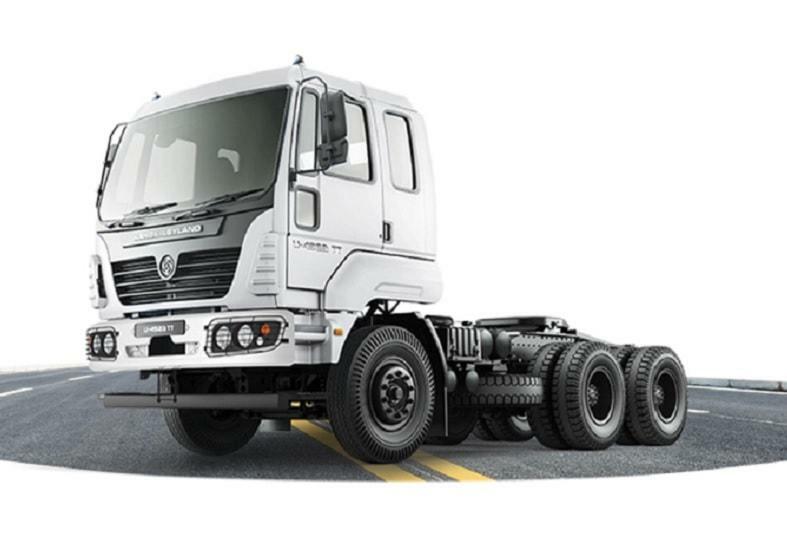 While different commercial vehicle manufacturers in India categorize their products differently suiting their internal vertical bifurcations, ICV trucks usually refer to trucks between 8 ton gross vehicle weight to all GVW nodes below 16.2 Tons. 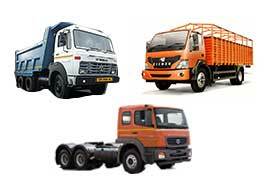 ICV trucks are used for intra state movement of goods or short distance inter state applications. 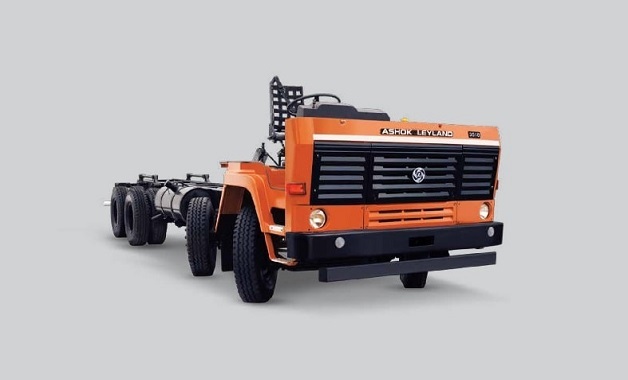 This segment of ICV trucks is majorly dominated by homegrown commercial vehicle manufacturers like Eicher Trucks & Buses, Tata trucks followed by little presence of Ashok Leyland trucks, SML Isuzu trucks (Swaraj Mazda trucks) & BharatBenz trucks. 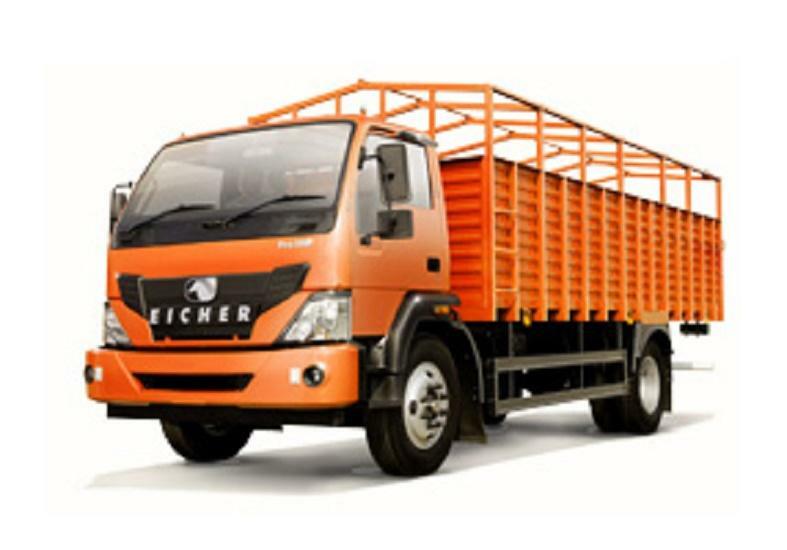 Eicher Pro 1110, Eicher Pro 1095, Tata LPT 1109, Tata Ultra trucks, Ashok Leyland Ecomet and Boss range are some of the predominant names as far ICV trucks in India are concerned. 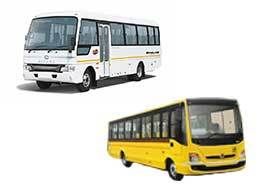 Similarly, ICV passenger buses are generally used for school bus, staff bus & tourist bus application. 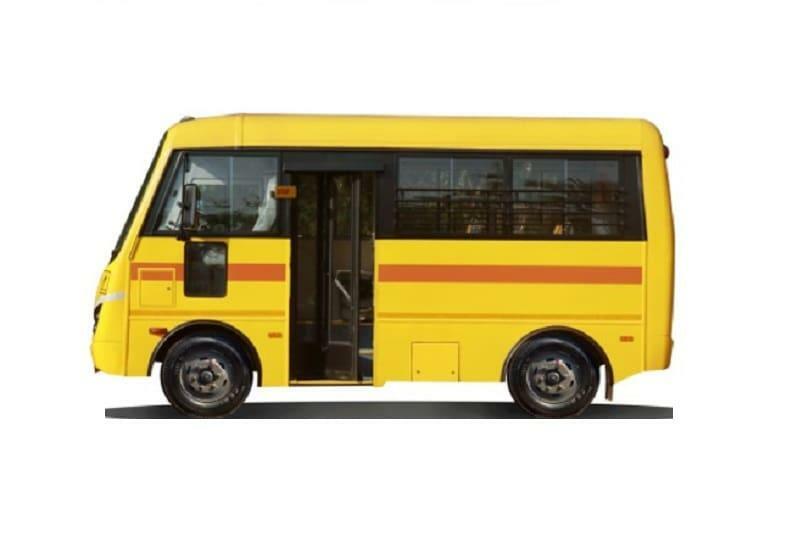 Dominant players in ICV bus segment are Tata buses, Eicher buses, Ashok Leyland buses and SML Isuzu buses (Swaraj Mazda buses) especially in school bus segment. We bring to you the best detailing of bus in India that will uncomplicate the understanding for newer participants. Now check out the latest ones and buy new buses in India online only at TrucksBuses.com. 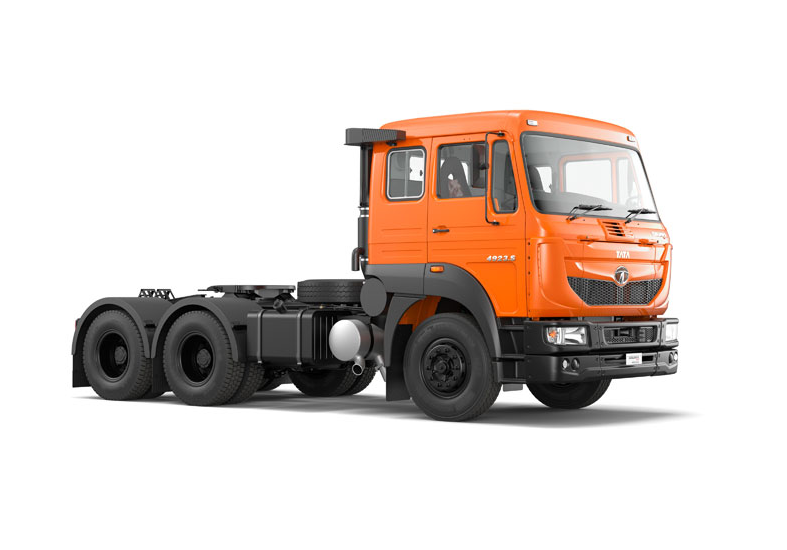 Similarly for Light Commercial Vehicles in India, while the categorization of trucks and buses varies from manufacturer to manufacturer, LCV trucks and buses are usually referred to product from 3.5 Ton GVW and goes upto 7.5 Ton GVW range. Some Commercial Vehicle manufacturers also classify the products in a combined manner of Light and Medium Duty (LMD trucks and buses) to cater to everything above pickups segment and right upto 15-16 Ton GVW. 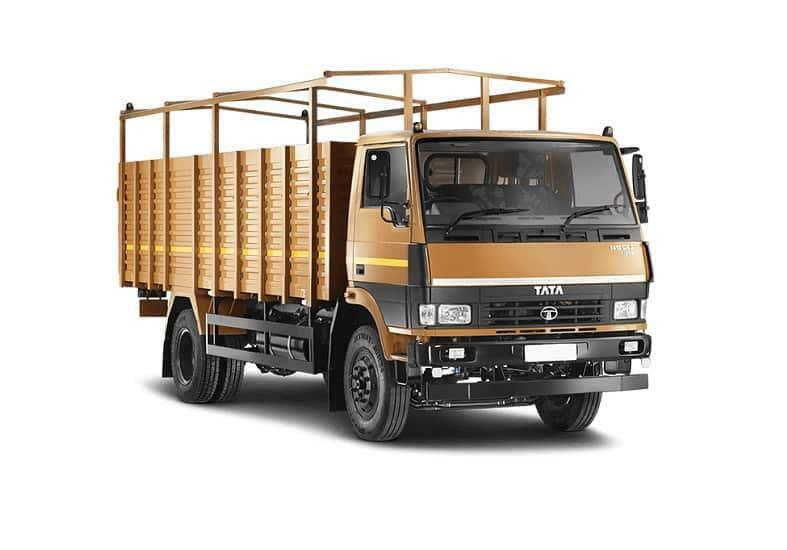 Prominent commercial vehicle manufacturers catering to LCV segment are Tata Motors with its flagship Tata 407 and LPT 709 trucks , Eicher Trucks and Buses (VE Commercial Vehicles), along with little presence of Ashok Leyland trucks and Mahindra trucks. 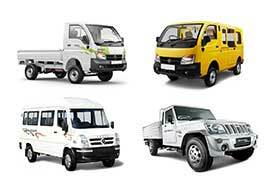 The Pickups and Mini trucks market in India caters to everything upto 3.5 Ton GVW node. 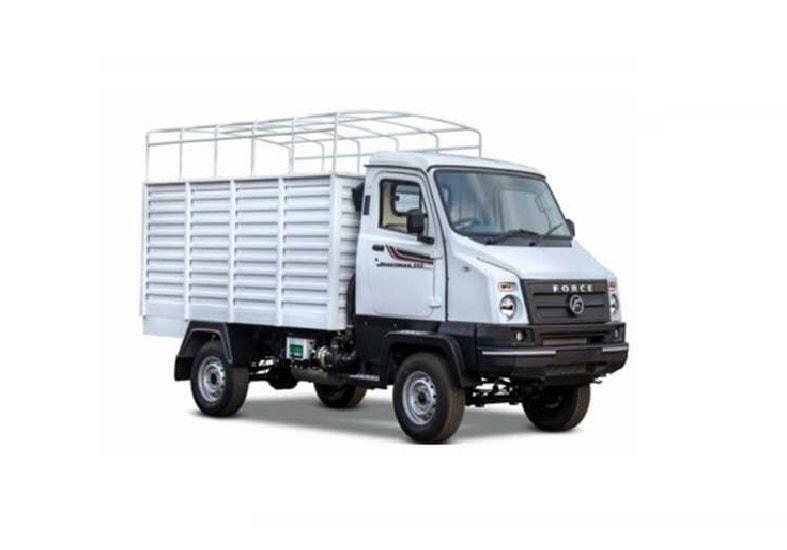 While mini trucks in India got recognized as a segment with the introduction of Tata Ace Chota Hathi, market for Pickups in India is majorly dominated by Mahindra pickups. Used for last mile distribution, 4 wheeler mini trucks in India carry a load starting from 500 kg micro truck to upto 1 ton. 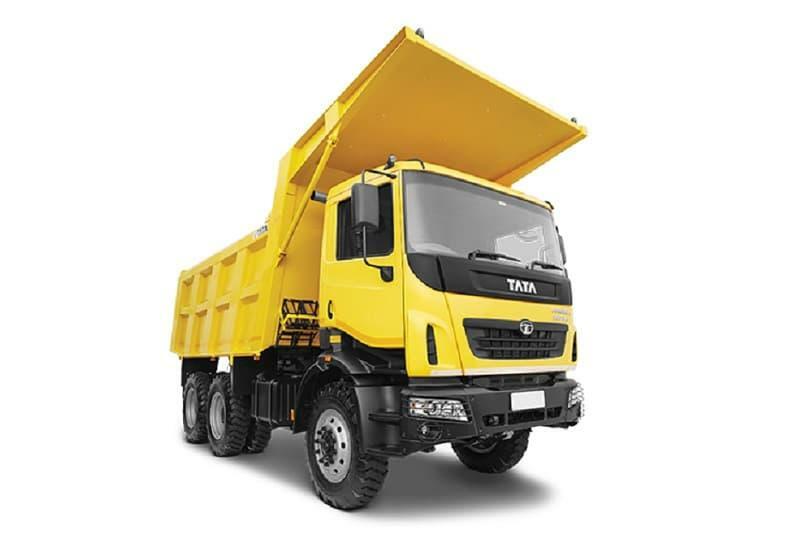 Dominating players are Tata mini trucks (Tata Ace HT, Tata Ace Mega, Tata Ace Zip, Tata Super Ace Mint), Mahindra mini trucks (Mahindra Supro mini trucks as well as maxi truck versions) with the latest entry of Maruti Suzuki's mini truck called Super Carry. While some of the best pickup trucks in India are Mahindra Pickups (Mahindra Bolero Pickup & its variants), Tata Pickups (Tata Xenon Yodha, Tata 207 and its variants) along with Ashok Leyland Pickups (Ashok Leyland Dost, Ashok Leyland Dost Plus). Even if you want to sell second hand used truck aur bus online, we help you do that as well, with the click of a button. You can easily sell your used truck aur bus online by simply uploading the vehicle with few details, and voila, your used truck / bus listing will be visible to all prospective buyers spread across the country. Be it used trucks, used tippers, used tractor trailers, used buses, used mini trucks or used pickups, you can sell all by simply registering and uploading the vehicle details. If you are planning to buy second hand commercial vehicles, then you can choose the best from vast variety of available used trucks and buses for sale in India. State of the art truck aur bus dealer locator provides you pan India truck and bus dealer showrooms' contact details along with service centres or workshop contacts. For new vehicle related queries, we provide complete truck / bus dealer details for Tata Motors, Ashok Leyland, Mahindra, Eicher, BharatBenz showrooms. For service and breakdown related assistance, we provide truck / bus dealer details for Tata Motors, Ashok Leyland, Mahindra, Eicher, BharatBenz service centres along with their customer care helpline numbers. You may also subscribe to our notifications to stay updated with latest from the world of Commercial vehicles. Our news section will keep you updated on latest from the world of commercial vehicle market in india, new product launches, commercial vehicle sales trends, indian commercial vehicle market share trends, updates from truck and bus manufacturers in India. Now choose the best from across the segments.